'Once Upon A Time' Casts Gaston For 'Beauty & The Beast' Storyline, But What Will We Learn From Belle's Backstory? How's everyone enjoying the Once Upon A Time Season 5 winter hiatus? It's kinda nice, right? We finally get a break from all the Dark Hook/Captain Swan mumbo jumbo and can take a little time to reflect on better times (Seasons 1 through 3) and remember when this show didn't sell its strong female characters short by making them slaves to abusive men (R.I.P Emma Swan, miss you and love you). Anyhoo, I digress. Season 5B will be upon us in just a couple of months — March 6, to be exact — and while we know we're going to be venturing into the Underworld to confront some demons from everyone in Storybrooke's past, we'll also be doing more enjoyable things, like checking in on Zelena in Oz, and apparently delving into Belle's backstory, too. 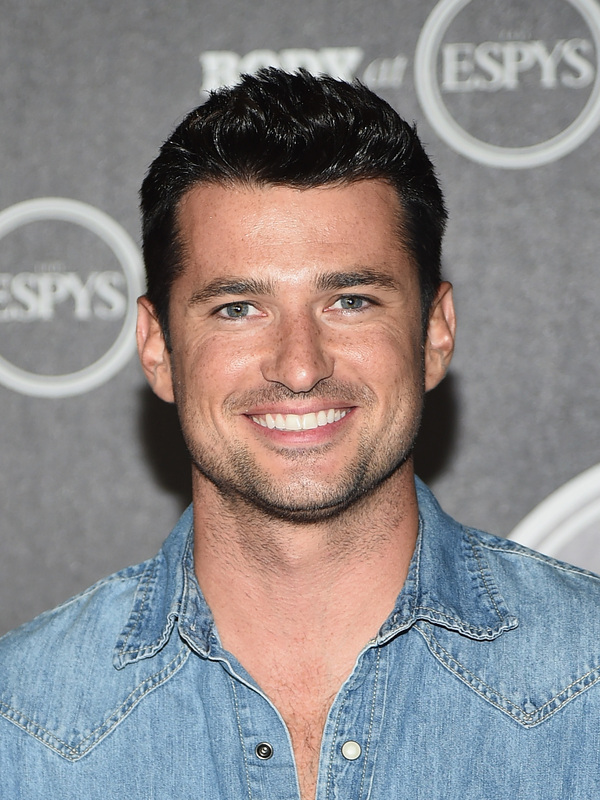 I know this because Once Upon A Time has cast Wes Brown as Gaston. This should be interesting! Belle has always been sold short in my book. She's whip smart and basically solves everyone's problems with her intellectual prowess, and yet she's always been sorta reduced to Rumple's whipping post. She's had her moments of brilliance, of course — who among us didn't cheer when she pushed Rumple over the town line and sent him packing at the end of Season.. 4A, was it? I barely even remember, at this point — but up until now, we haven't truly had a chance to get to know her. I suppose that's where Gaston comes in? We'll get to see Brown's version of Gaston (we met Gaston back in Season 1 when he was played by Sage Brocklebank) probably only for an episode, when we head back to Belle's pre-Rumple days in the old world, though it's not exactly clear for what purpose. Nevertheless, my biggest disappointment is that since Once isn't a musical, we won't get to hear Gaston's eponymous song, which is undoubtedly one of the best original tracks in Disney history. I'm actually looking forward to delving a bit more into Belle's history. As I mentioned, I think she's been criminally underused over the course of the series, and I'd love to see her get more airtime, along with the likes of Regina and Snow. They've all developed quite a camaraderie, so maybe they can ban together to smack some sense into Emma Swan and restore the one we knew and loved back to us. I don't think Gaston can help with that, but who knows? Maybe he's been hiding out in Storybrooke all this time and we just never knew it.